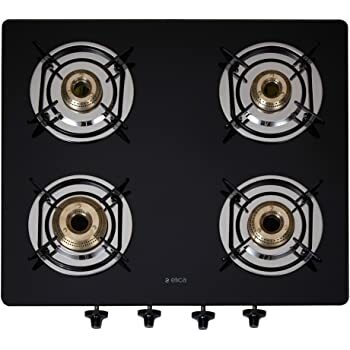 Buy Elica Vetro Glass Top 4 Burner Gas Stove (594 CT VETRO BLK) @ 48% Discount. 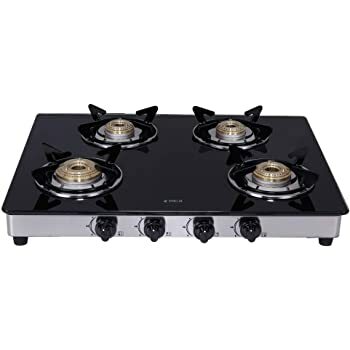 Elica brings you the gas stoves that are fuel efficient, easy to clean and offers maximum convenience. Featuring premium finish toughened glass top, its an elegant addition to your kitchen. 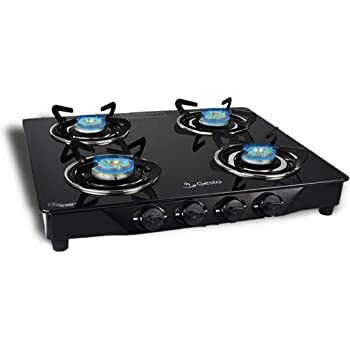 Get better at multi-tasking using one gas stove embedded with multiple burners. 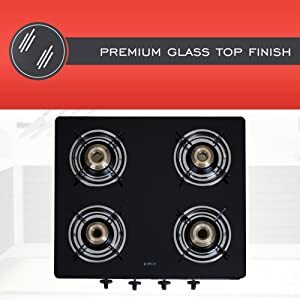 The Elica Vetro Glass Top 4 Burner Gas Stove is made to operate manually, assuring highly efficient performance. 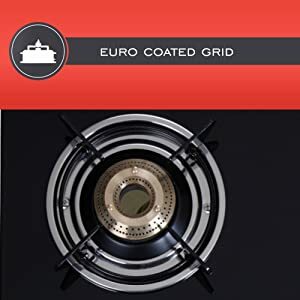 Featuring a spill proof design, this gas stove is safe from spills while cooking. 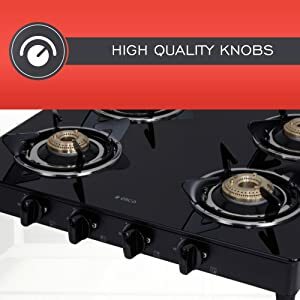 It assures easy cleaning & maintenance. Safe, time-saving and convenient to use, each piece is designed to last long. The beautiful aesthetic for your kitchen has dimensions of 585 X 560 X 130 MM. Highlighted with premium quality toughened glass top that will surely blend with all modern kitchen décor. 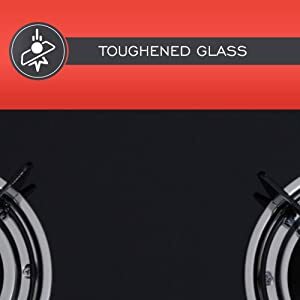 The toughened glass will not only impress you with its beauty but also will surprise you with its durability. 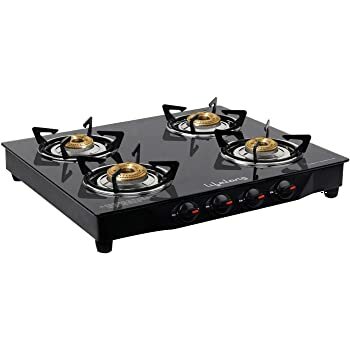 Outlined with 2 Medium and 2 Small size burners to fulfill all your cooking needs. 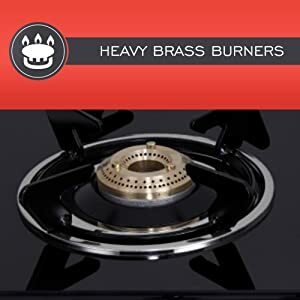 The high-quality burner gives safe & time-saving cooking experience with consistent flames. 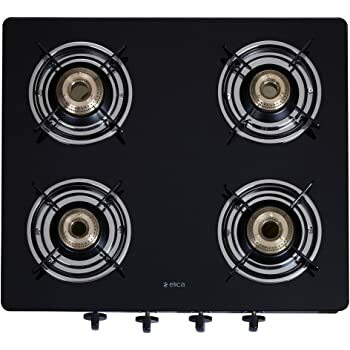 To offer unmatched durability & reliability, the Elica 594 CT VETRO Gas Stove comes with Stainless Steel Support Plates. 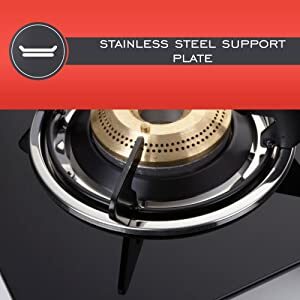 The plates are perfectly designed to enhance its sturdiness.